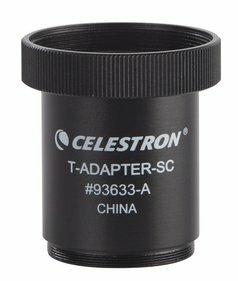 There are various ways to connect your camera to your telescope. A popular technique is the use of a Camera Adapter and T2-ring. This involves placing your camera directly in front of the telescope. 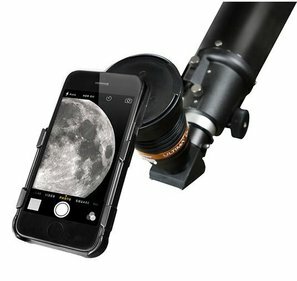 The telescope lens effectively replaces the camera lens, which allows you to make beautiful pictures of the universe. 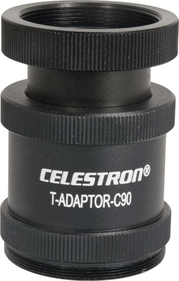 A camera adapter is a device which helps you connect a camera to your telescope. 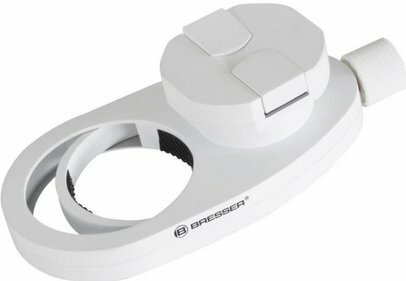 It ensures that non-compatible parts can be used together. 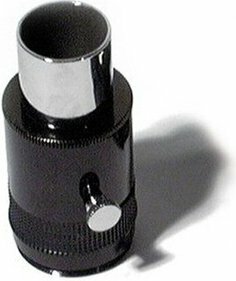 A telescope, for example, can be made compatible with all kinds of filters, prisms et cetera when using a camera adapter. The first accessory here is a so-called T2-ring. 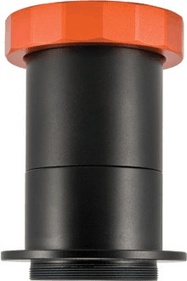 The T2-ring connects your camera to the camera adapter. 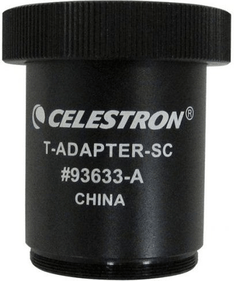 You subsequently mount the camera adapter onto your telescope. 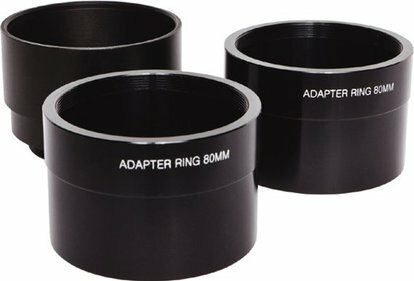 Most camera adapters are fitted with screw thread enabling you to attach a Barlow lens. This way, you get even closer to the object of your choice!